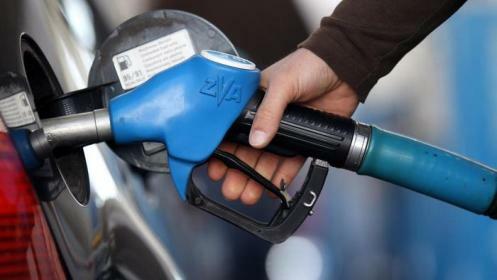 LAGOS MARCH 29TH (NEWSRANGERS)-Fuel prices are heading for an increase as the National Assembly on Wednesday passed the Petroleum Industry Governance Bill (PIGB) with 5 percent levy on fuel sold across the country. According to the lawmakers, the levy will be used to fund the Petroleum Equalisation Fund (PEF) as reflected in the new bill. The passage followed the consideration and adoption of the conference committee report on the bill. Other sources of financing the PEF, as stated in the bill, include subventions, fees and charges for services rendered as well as net surplus revenue recovered from petroleum products marketing companies. The bill empowered the PEF to collect all revenues and levies charged, determine the net surplus revenue recoverable from any oil marketing company and accruing to that company from the sale by it of petroleum products at such uniform prices as may be fixed by the minister and determine the amount of reimbursement due to any oil marketing company for purposes of equalisation of price of products among others. It also seeks to provide for the governance and institutional framework for the petroleum industry. One of the major highlights of the bill is one seeking to unbundle the Nigerian National Petroleum Corporation (NNPC), provide for the establishment of Federal Ministry of Petroleum Incorporated, Nigerian Petroleum Regulatory Commission, Nigerian Petroleum Assets Management Company and National Petroleum Company and Petroleum Equalisation Fund. The regulatory bill also seeks to replace the NNPC with the National Petroleum Commission.